Wonderland Game - Download and Play Free Version! 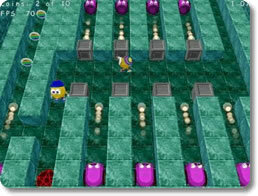 Use your characters to find a way out of the maze using all kinds of clever tactics! Fun + good excercise for the brain! 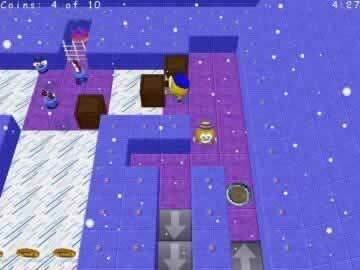 Wonderland is a very fun and addicting puzzle/adventure game that gives you something new on each level. The concept is simple: collect enough coins to open the gate to the next level. However, you are faced with numerous obstacles that challenge you to flip switches, move boxes, use enemies against each other, and contort your brain in strange ways to solve each puzzle. Another great added bonus is the use of your sidekick Loof. 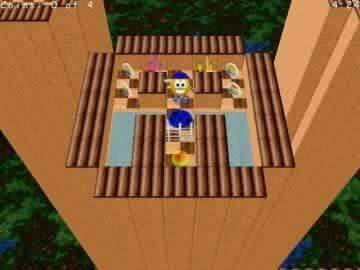 You can switch between him and your main character, Stinky, to help each other solve the puzzle. Parents think they are buying Wonderland for their kids only to find out how much they love it! Wonderland is one of those games that 5-50 year olds can enjoy and be challenged by. The puzzles are unique, the characters charming, and the solutions satisfying. Overall Wonderland is a great game to add to the family game library.